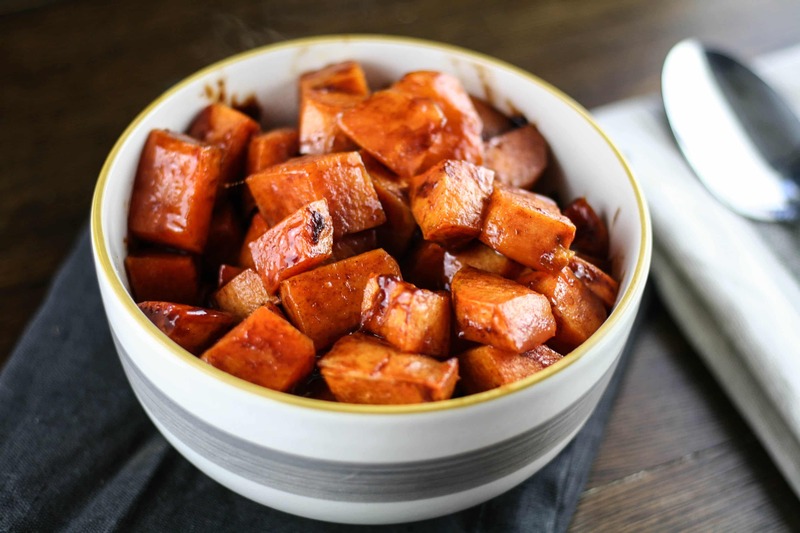 These cinnamon honey sweet potatoes are another good side dish you could serve up this Thanksgiving if you wanted a quick and easy, yet delicious, sweet potato side dish! 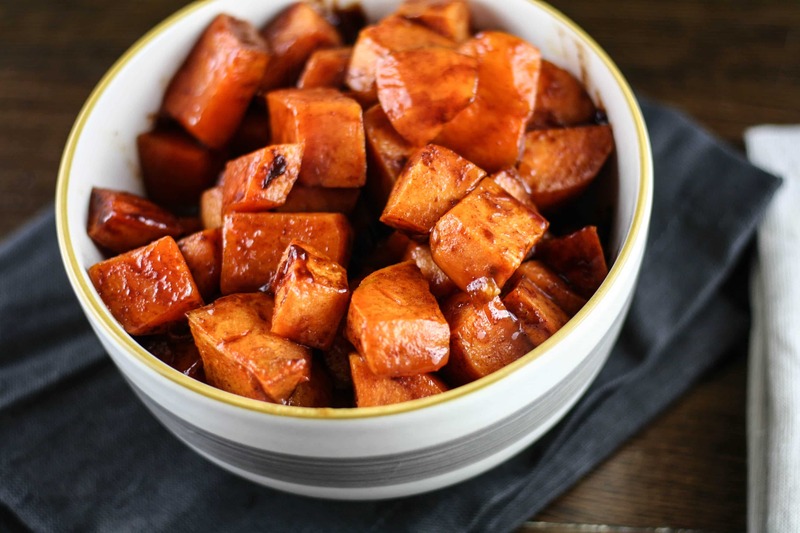 The cinnamon and honey caramelize around the sweet potatoes and it’s like eating a gooey cinnamon roll, so good. 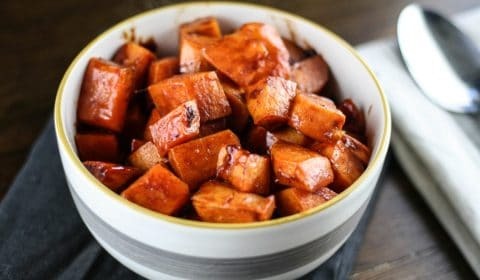 These are also super quick and easy to make, simply toss the diced potatoes in the cinnamon, honey, and ghee mixture and roast in the oven, that’s it. The sweetness from the raw honey is also a good replacement for traditional brown sugar. You’ll get that sweet fix without any refined sugars. 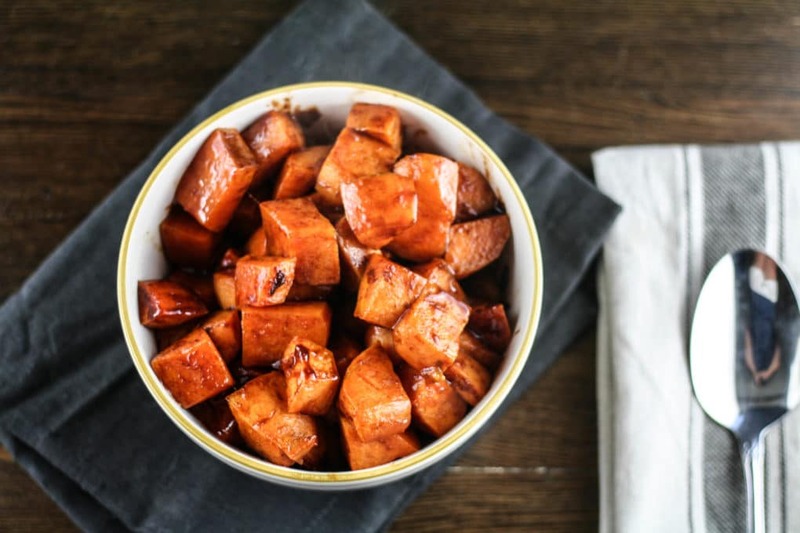 The cinnamon simply adds another layer of flavor. Sprinkle with some Himalayan salt and you’ll have a good sweet + salty mixture! Toss the diced sweet potatoes in the melted ghee, honey, and cinnamon. Transfer to a lined baking sheet and roast for 30 minutes.